Offered in two highly engaging, unique talks: The Plastic Project and Thread Carefully, Beyond the Boundaries takes a peak into the future based on our current 21st century lifestyles and explores what directions we are setting for development and what implications these may have for the future of our planet. We are delighted to be able to offer and promote Tim Nunn’s acclaimed talk The Plastic Project under our Beyond the Boundaries theme. The Plastic Project is the accumulation of one man’s life-long journey to explore some of the coldest and remotest environments on the planet armed only with a wetsuit, surf board and camera. In this brilliantly compelling talk, Tim Nunn, the founder of The Plastic Project talks us through his journey into some of the remotest and most freezing waters of Northern Europe and beyond. Tim tells the tale of how his passion for surf ended him up in a sea of plastic (literally). Not only does this talk enable students to critically view and ask questions relating to the ‘bigger picture’ of consumption and sustainable development, it also demonstrates how self reliance and a “can do” attitude can lead us into a world of adventure and take us on a journey of self-discovery we’d never have thought possible. 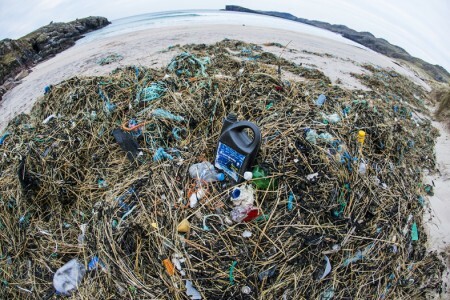 “It’s an adventure to the fringe of known coastlines in Europe, with two goals, one to keep inspiring people about what an amazing world we live on and secondly to highlight the out of control situation we face with marine litter, specifically in the North Atlantic. I’m a photographer so by documenting, talking about and making people open their eyes to the problem through images is the best way I know of doing this. The Plastic Project is a non statistical, purely visual way of representing what a huge problem marine litter is to the environment. It’s not until you see a Macdonald’s wrapper on a wild bit of Icelandic beach, which originated in North America, that you can understand the problem. What’s more we can all sort this problem out our selves”. The second talk within our Beyond the Boundaries series is entitled Thread Carefully. 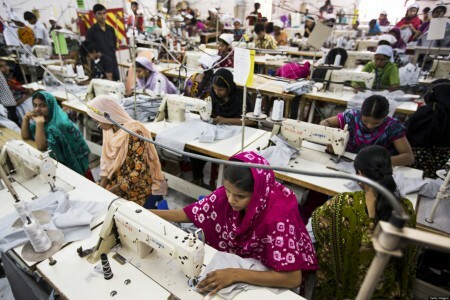 Thread Carefully highlights the dynamic, fast-paced and global spread of the clothing sector, drawing in first-hand stories of life within industry and framing how our consumption patterns impact on a sustainable development agenda. Students will follow the story of thread, listening to anecdotes and research conducted with more than ten years experience working within some of the world’s biggest brands and clothing suppliers. Students will be introduced to the concept of the United Nations Sustainable Development Goals, an initiative to direct countries, industries and individuals onto a path of inclusive and greener growth for betterment of people, the planet and profit. Beyond the Boundaries is available in the following formats. For more information please get in touch. Lucy has been working between the UK and East Africa for the past five years; prior to this she held a senior role at a global Fortune 500 group company leading a section of its product development initiatives for textiles and garments across the Far East and Europe. 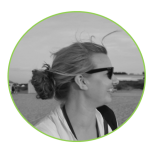 Lucy has spent much of her career working in and travelling through different countries and exploring their cultures and has been faced with many of the thrills, challenges and curiosities that come from such experiences. Lucy’s experience leading global manufacturing projects for the clothing industry across the Far East and South Asia helped her to develop an understanding of the impact of increased consumption and demand on people, the planet and profit. She has since gone on to work with organisations in East Africa that harness the power of the community by developing appropriate technologies for more sustainable development. Beyond the Boundaries elicits important discussion suitable for SMSC and PSHE development. To add on a careers workshop we suggest selecting our Mind the Gap talk and workshop.